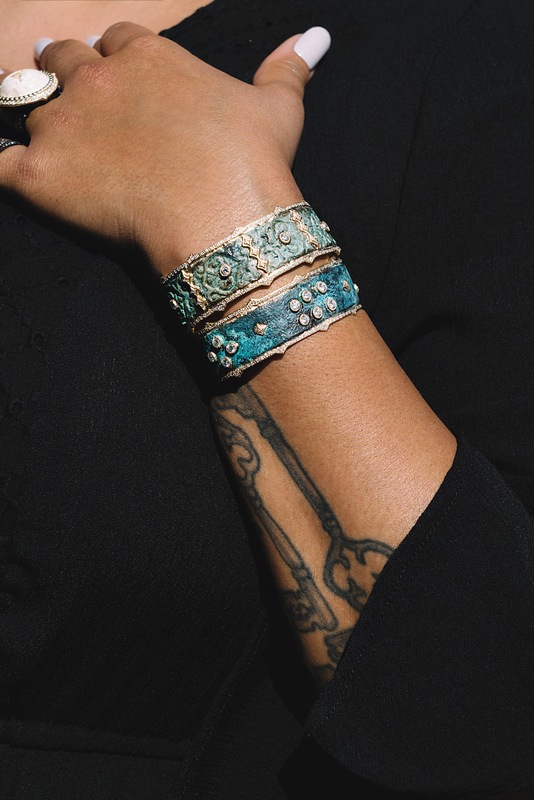 Inspired by time-honored jewelry making traditions, artist Emily Armenta established an environment dedicated to creating and preserving the rich heritage of handcrafted jewelry. At the Armenta atelier, an artisan curriculum was developed to bind art and craftsmanship ensuring these techniques are passed down from generations. The skills that our artisans receive shine through in the beauty of our products and in our identity, using ethically sourced gemstones and metals. It is the beauty of things, of people, of ideas, and embracing differences that drives our passion for creating jewelry with meaning. Through our jewelry we have a voice and a platform to share our philosophy and dedication to being a positive force that empowers the condition of human life.